Realising the Benefits of BIM? Do you want to make health and safety easier, quicker and cheaper during your building projects? Well you’re going to love BIM. The rapid growth of Building Information Modeling (BIM) is dramatically cutting costs in construction; by 20% and more according to early reports. But great savings also come from the health and safety benefits; because accidents are costly! Especially when they lead to fines and lawsuits. So cut these down, and you cut costs too. And for this, BIM will help. If you’re still not sure, BIM is what’s bringing us into the digital construction age. It’s a tool to generate a dynamic digital model of a building project – and more importantly All the data involved – before construction at the design stage. It increases productivity and efficiency; cutting costs at all stages of building and maintaining the building. 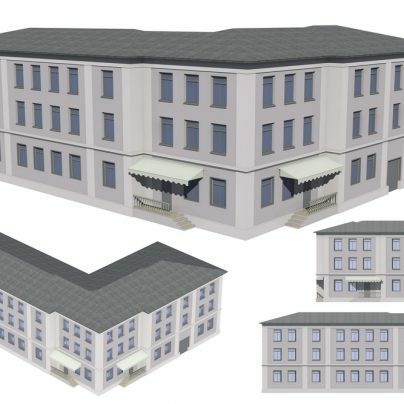 How will BIM Make My Building Safer? While it’s early days yet, we can already see many ways BIM will improve health and safety during the construction process. And also make it quicker, cheaper and easier for you to meet health and safety regulations. With modeling you can easily simulate potential hazards. Like the ones that result from the movements of trucks and cranes through sites. Especially for the distribution and movement of materials, a major cause of accidents. With BIM you can model these movements, or perhaps the critical crash zone of a crane were it to fall. Many potential hazards can be safely and carefully analysed and worked out with ease, and well-mitigated and planned for beforehand. All unique to your particular building site. 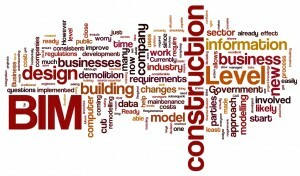 The BIM Task Group is working to fit all BIM software to safety regulations in the UK; intended for completion by 2016. Basically, architects and engineers can instantly see if designs comply with the regulations, saving time and money working it out. For example, the minimum headroom needed on stairwells, the numbers of people who can safely use a building, where fire compartments need to be, etc. These can all be automatically worked out with your BIM. There will always be many judgment-based decisions requiring human consideration. Scott Bronrigg with the BIM Task Group estimates 30% of regulations can be incorporated into BIM software. Many accidents are due to human mistakes in judgment. So the more we can automate, prepare and model, the less accidents we’ll have. Also, too many accidents are caused by miscommunication. BIM can help display the potential hazards throughout the site, and provide clear visual aids to help awareness, memory and understanding. This can accompany the discussion with everyone about what to look out for, and involve them in developing and carrying out the health and safety process. Of course, nothing beats human face to face communication to explain things. But any extra tool helps! Beyond this BIM will just make everything is far clearer and better understood during the entire design and construction process. Who knows in how many ways this will help your health and safety in the long run? All we can say for sure is architects and builders using BIM are making safer sites. How is BIM influencing the way you plan and run a construction site? Do you have any more ideas or questions about the implications of BIM for health and safety? Do share – we’re here to talk!